If you are looking for a unique way to display your fish, try wall mount fish aquarium. This is certainly not just your ordinary square fish tank. 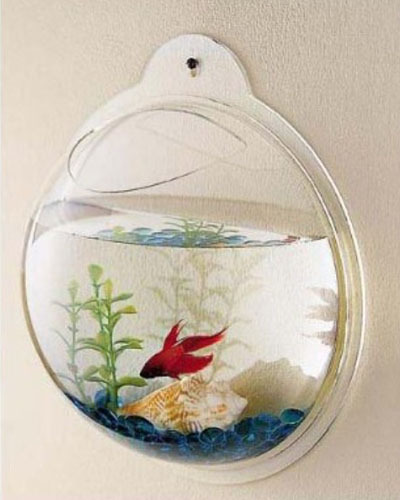 The fish bowl has 10” diameter, great for decoration, this aquarium is gonna get a lot of attention from your guests. 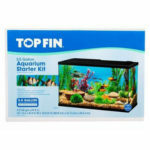 You can easily mount the acrylic fish tank on the wall, the open top design provides easy cleaning. 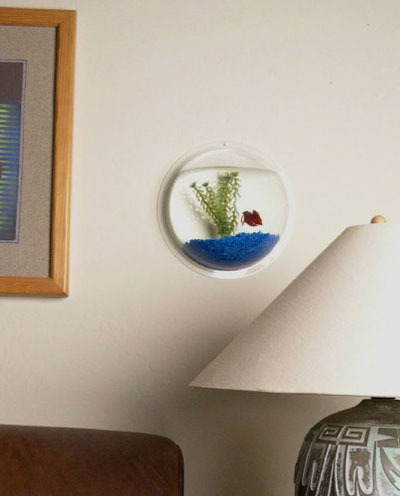 It’s better to place it near a window where the fish can still get indirect sunlight. 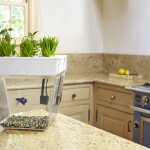 Wall mount fish aquarium can hold up to 1 gallon of water, add your beta fish in it, this product is going to be a great conversation starter. 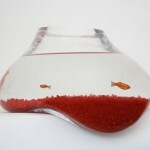 Some reviewers say that the bowl is actually bigger compared to others with beta fish in it. However, we still think that it’s better to give your fish more space by placing it on a bigger sized aquarium. Then what’s the use of this wall mount fish bowl? Well, you can still use it as a decoration, instead of fish, you can place aquatic plants in it.